We are a Full service family owned computer company in the Sacramento Area. A small business that is able to find solutions to fit YOUR needs. Our excellent knowledge base assists you in choosing system peripherals, software and networking needs as well as supporting those products after the sale. Our computer department specializes in building and upgrading computers to fit your specifications. Our service department handles your repair needs promptly and professionally to keep you on-line. On-site service, support and training are available on most equipment and software. 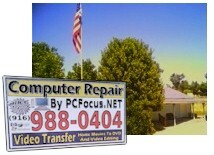 PC Focus is a woman owned small business that has been serving the Sacramento area for over 20 years. Our customer base ranges from federal, state, and local government agencies to local businesses and home computer users. In addition to Repair & Service we also build computers to order. Laptops, Budget PCs, Gamer PCs, & Professional PCs are our specialty. We can make the computer to your specifications or you can get one of these popular PCs. 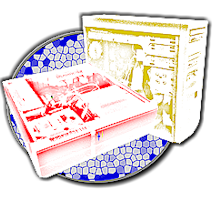 Update Anti Virus and Anti Spyware scanning software. We are always adding new types of film. Call for details. WEBSITES ARE GREAT FOR CONTACT INFO AND PROMOTIONAL MATERIALS.